BANGKOK: -- Thailand is moving to grant multiple-entry visas to all visitors from any country in a bid to boost tourism and drive the economy. The Cabinet on Tuesday gave the nod to the Tourism Ministry's three-year tourism development master plan aimed at boosting quality tourists and promoting sustainable development. It would also relax travel conditions and increase cooperation with other countries, particularly Thailand's neighbours. Last week, officials of five Mekong River riparian countries - Thailand, Myanmar, Laos, Vietnam and Cambodia - met in Nay Pi Taw in Myanmar to discuss tourism cooperation under the Ayeyawady-Chao Phraya-Mekong Economic Cooperation Strategy (ACMECS). The five nations are preparing to embark on the "Five Countries One Destination" campaign to boost travel to third countries. So what are they planning, a multiple entry 6 month VOA for 5000 baht? So a year after forcing thousands of expats out of Thailand - expats who did border runs but who still no doubt spent lots of money in Thailand, they come back with this. I seriously doubt a 6 month multi entry tourist visa is going to help. Most genuine tourists have a set time here & certainly do not plan to go in & out of the country over a period of 6 months. There is so much they could do with changing visa rules, especially long term ones for people who live here, support families & spend money all year round. Money which feeds into the grass roots economy, unlike all the Chinese tourists who's money only benefits a select few. Maybe they got tired of tourist spending their money in Cambodia? Cambodia even has a full moon party now! If this comes to pass they'll make more money off people who buy two-entry TRs and then bounce both entries to stay in the country for six months. I'll pay that extra 1000 baht to be able to avoid the local immigration office! great news for those wishing to spend their cold european winters here and for backpackers looking to reclaim thailand as the hub of their asian travels again. just a shame that even in 2015 some still don't consider these two groups as "genuine tourists". i look forward to the added diversity and local income income both groups will bring. Duhh and i just had to jump all the hoops to get my multiple while i 'm married with a Thai. They even refused my application because the photograph i used was the same as last year. So all these new quality tourists also don't have to show money on the bank? I have met allot of tourists that travel all around Laos, Cambodia, Burma etc over a period of 2-3 months. So I agree the 6 month is not a big deal but the multi entry is good. Who this will help are the guys that are under 50, not working and not married. As for your statement of guys living here and supporting families there is already a visa for this a NON-O. 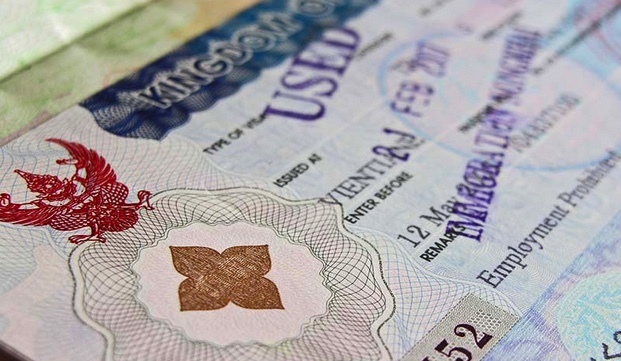 I lived and worked in Thailand for almost 20 years and never had an issue with a visa. However I worked so always had a visa and work permit. The people that have a problem are the ones working in Thailand illegally or under 50 not married to a Thai or have a Thai child and not working living off of investments. Long term expats are a drop in the ocean, both in numbers and economically, so I would not expect anything this government to do would benefit us. This is all about increasing tourist dollars, regardless of who benefits from those dollars. This would be a great step forward. I have high hopes. The "non genuine tourists" are the ones who live & work here illegally. No mention of backpackers being included in this group. Many view backpackers as being tourists who come & stay on the cheap but I reckon they would spend more than the Chinese & the money gets spread around much more. Also they can become rich big spenders in the future. As for the long term expats why not give them a 5 year visa if they have already been here for a long time either on retirement or Non Imm B visa which is needed for working. Immigration office here in Phuket is overloaded at the best of times.